Property auctions take place and had been a success in Australia because of good market conditions. 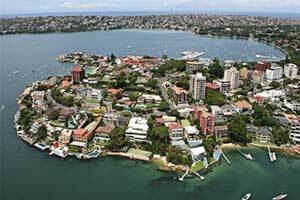 Contrary to U.S. property auctions used to dispose of properties in distress, Australia’s thrives on an environment of low interest rates and higher property prices. Property owners in Australia’s biggest cities had been drawn to auctions because of these factors. In Sydney, about two-thirds of homes offered during the public auction in February and March beat figures recorded in two years, data from Australian Property Monitors (APM) indicated. In Melbourne, the second biggest market for home auctions, the proportion reached 68%--the highest since May 2010, APM said. Real estate agents at McGrath indicated that the number of auctions in Sydney increased in the first three months of 2013 to 697 compared to the 559 recorded a year ago. In Canberra and Adelaide, price declines are still occurring during the first quarter, SQM Research Pty managing director Louis Christopher said in an emailed statement.